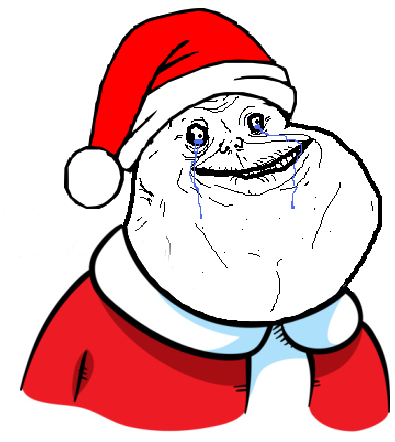 🎶 On the first day of Christmas my true love gave to me: nothing because I'm single! 🎶 On the second day of Christmas my true love gave to me: nothing because they don't exist! 🎶 On the third day of Christmas my true love gave to me: nothing because love is a lie! 🎶 On the fourth day of Christmas my true love gave to me: nothing because happy endings are for fairy tales! 🎶 On the fifth day of Christmas my true love gave to me: FIVE GOLD RINGS lol jk it was nothing again! 🎶 On the sixth day of Christmas my true love gave to me: nothing because my goose is cooked! 🎶 On the seventh day of Christmas my true love gave to me: nothing, by the way—swans are evil! 🎶 On the eighth day of Christmas my true love gave to me: nothing because I spent the day watching Netflix by myself! 🎶 On the ninth day of Christmas my true love gave to me: nothing, and Beyoncé did not prepare me for this part of being single! 🎶 On the tenth day of Christmas my true love gave to me: nothing so I guess I'll go drown myself in eggnog! 🎶 On the eleventh day of Christmas my true love gave to me: nothing, but I wish I had eleven pipers piping my pipes!